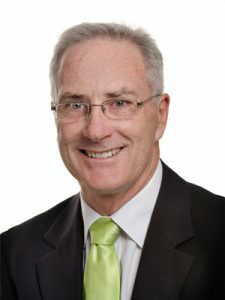 Greg Trembath is a leader in the Port Macquarie real estate industry. As Principal of Greg Trembath Real Estate, he makes the process of buying or selling a smooth and rewarding time. A trusted local agent who has worked in the area since 1990 Greg has built a respected reputation of professional service. An impressive record of sales success has always accompanied Greg’s career. Recent results have delighted over 350 owners with individualized one-on-one attention and savings of thousands of dollars with his low set commission and no up-front costs. Greg values his clients and understands that good working relationships need care and consideration. As an agent, he works though every step of the selling process, from presentation tips, through to advice on the best marketing strategy. This ensures you obtain the best possible sale price. He appreciates that selling can be an emotional time, and for some it is a little nerve racking. By guiding you through the process, Greg makes it as stress free as possible. Independent data confirms Greg sells properties 30% faster than average (Source: www.domain.com.au). Dedication, exceptional negotiation skills, 25 years of experience and local knowledge underpin his success. His optimistic, ‘make-it-happen’ approach means his clients get where they want to go. Appointing Greg to manage the sale of your property guarantees you not only have the agency Principal on your side, but also someone who listens carefully, is motivated, vastly experienced and who cares about you and your needs. Honesty and integrity: you can rely on his advice. Communication: you are kept in the loop at all times. Hard work: commitment and tenacity always get results. Customer care: going the extra mile is part of the service. His experience dealing with finance, solicitors, conveyancers, and pest and building consultants ensures a smooth and seamless sales process. © 2019 Trembath Real Estate All rights reserved.